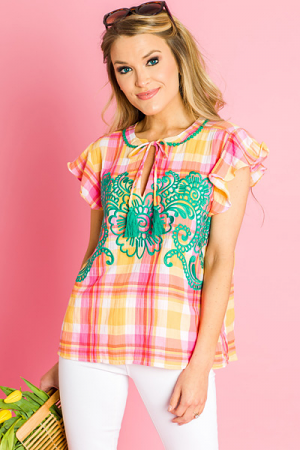 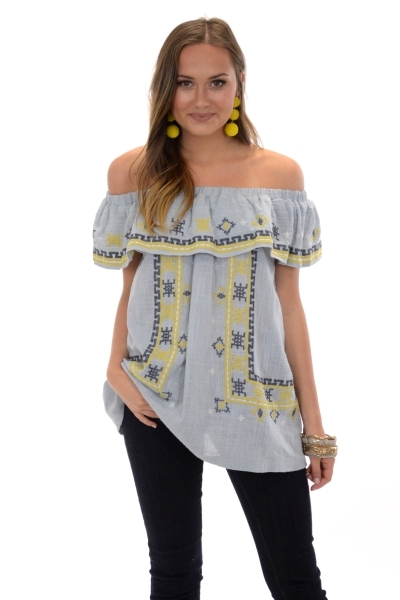 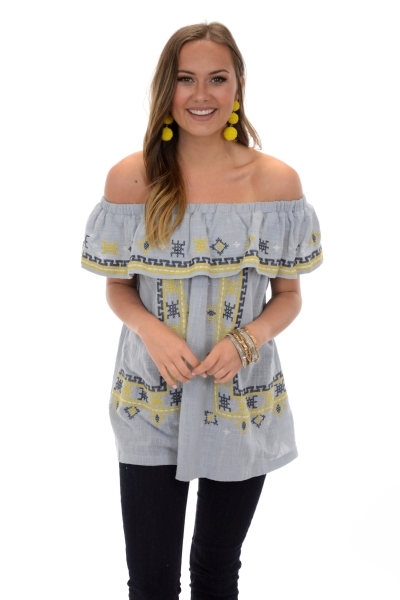 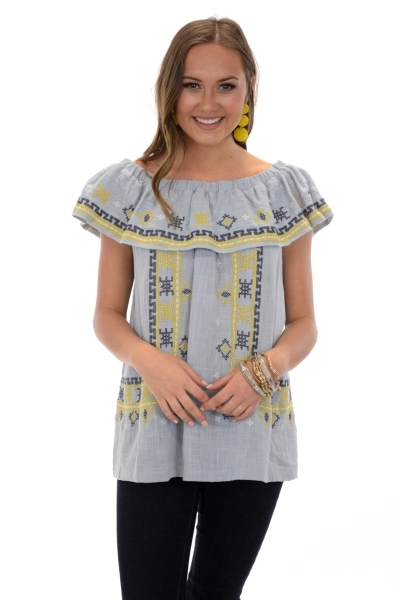 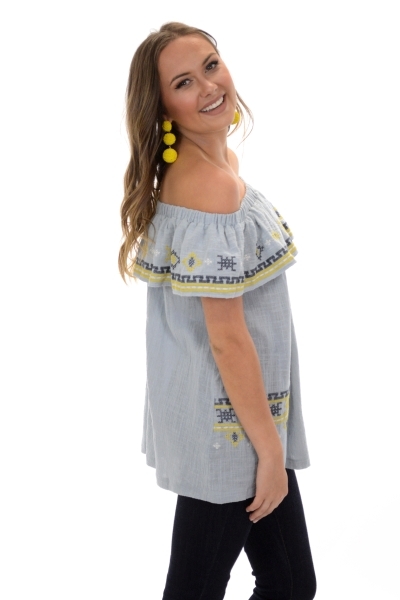 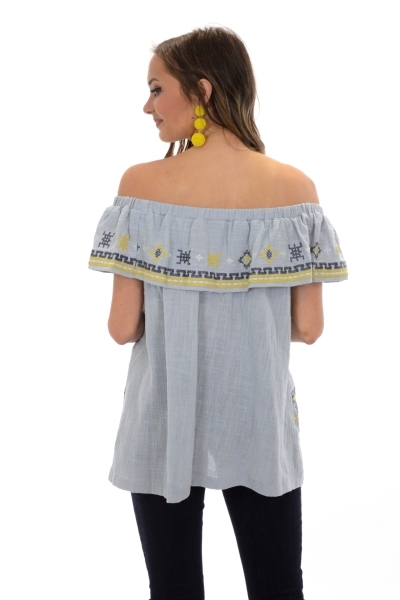 This top is simply so cute!! 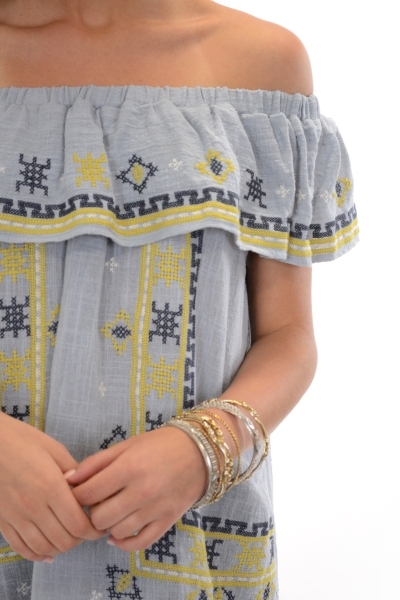 Colorful embroidery breathes life into the versatile heather grey hue. 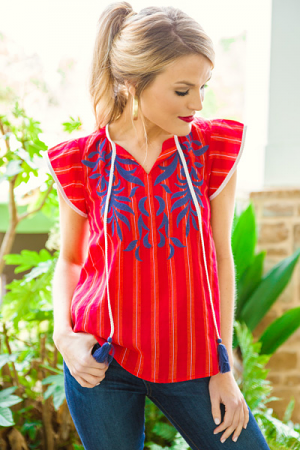 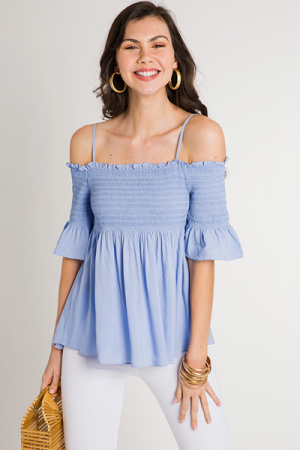 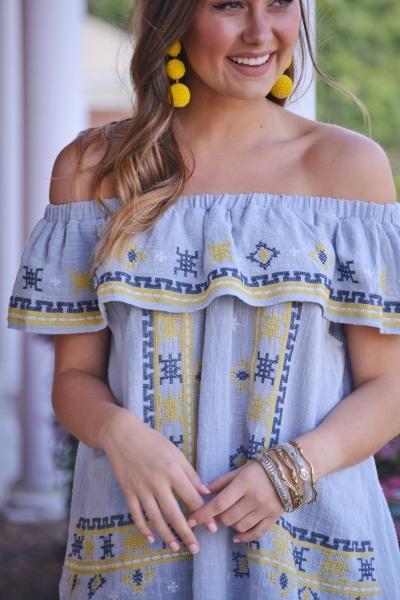 Elastic on the shoulders gives you the option to wear this top on or off the shoulder. 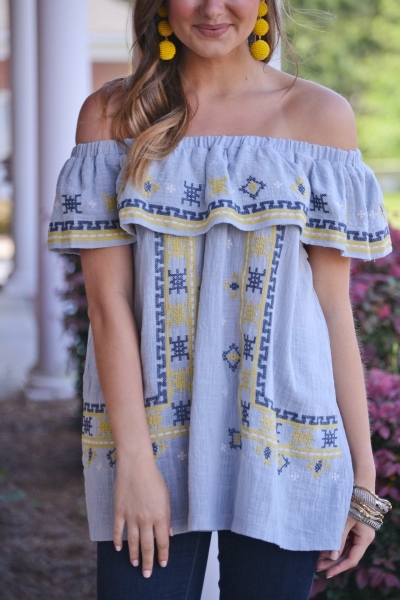 Fabric is 100% cotton.